Have You tried the Awesome Bingo Blitz Facebook App Yet? Bingo Blitz is the best of the best when it comes to Facebook bingo apps. If you want to play online bingo in a game that features arcade-style game play than this is exactly what you are looking for. This is a super fun, colorful and animated real-time game that you can play through Facebook. Bingo players use power ups, coins, and experience points to increase your chances of getting bingo as well as completing the multitude of in-game goals. 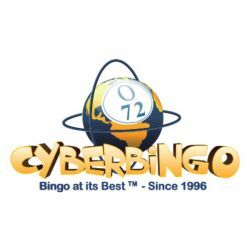 Choose from an awesome selection of bingo rooms based on major cities around the world. You can choose to play bingo on your own or in teams to progress through the game and unlock all of the bingo rooms and collection items. You can play with 1 card, or choose up to 4 cards every game. Each card has 25 numbers and to win bingo you need a straight line vertically, horizontally, diagonally or all 4 corners. As soon as you achieve any of these on one of your bingo cards you need to press the bingo button and that card will closes. You can keep playing the other cards if you have more than one. It is a good idea to invite all of your bingo friends to join you as the more teammates you have, the more free credits you will earn! 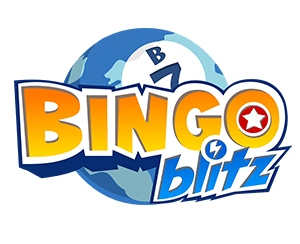 Connect with your current Facebook friends or make new Bingo Blitz friends and you can all earn and share more rewards. Your objective is to reach the weekly goals and you can unlock bonuses for you and your teammates which are also added with every bingo you get! You can also share your accomplishments on your Facebook wall and you can give credits and coins to your favorite teammates! The most difficult achievements appear as Shadow Cards during the bingo games. If you are able to bingo on a Shadow Card than you will win that item! If you don’t get bingo, but still daubed a few of the treasure chests you still have a chance to win. If there is a certain item that you just can’t seem to win, you can ask one of your teammates to share it with you! With Bingo Blitz you can play bingo anywhere, anytime including Facebook, iPad, iPhone & Android! These are fast-paced games mixed with arcade-style features making this bingo with a twist. You can choose from one of fifteen international bingo rooms with unique goals and collections! Compete head to head as you play in the daily tournaments against friends and foes for high scores and game items. You will be joined by nearly a million daily bingo players from around the world! There are 5 different game styles including Slots, Blackout Bingo, Lotería and more. Tip the rules of bingo in your favor with power-ups such as Instant Win and Double Daub. There are daily play bonuses as you will receive free credits and slot spins for simply playing Bingo Blitz every day! This Facebook bingo app was created by Buffalo Studios. You can learn more at their website, Facebook page or if you are ready to give it a try head over the Bingo Blitz Facebook App page. This review was last updated on March 28, 2016.